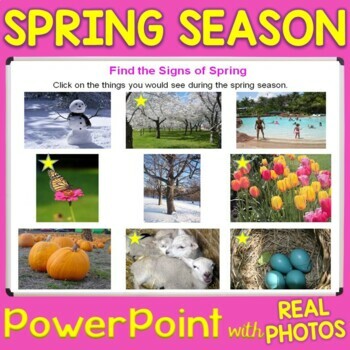 This PowerPoint presentation explains the spring season in simple terms using real, full-color photographs. 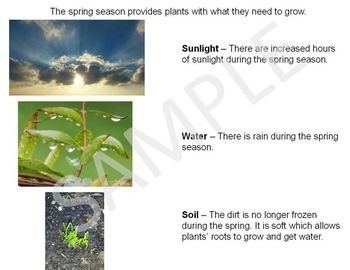 Children will learn when the spring season occurs, the vernal equinox, what you see during the spring, what plants need to grow, and more. 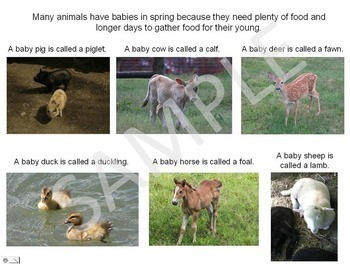 The last slide tests their understanding by having students choose signs of spring. When a picture is clicked a smiley face correct symbol or an unhappy face "try again" symbol is shown giving students immediate feedback. After being clicked, correct pictures are then marked with a gold star to distinguish them from incorrect ones. "Great slides. Love the pictures. My kindergarteners wanted to talk about everything in the PPT." - Laurie R.
"My kids loved this-- and I did too!" - Kristine P.
"Lots of great information! Great power point!" - Fran R.
"Great resource for science!!!" - Carie B. "Super cute and effective." - Cindy L.
"My students loved it!" 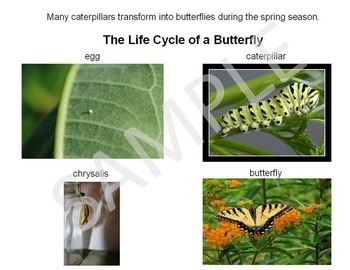 - Emily T.
"Great resource to teach or assess your students level of understanding." - Dawn C.
"Beautiful pictures and great resource!" - Linda S.